We know how important it is to list your business online. So we’ve made you a list of major platforms that offer free business listings. You’ll want to claim as many business listings as you can to improve your online presence. 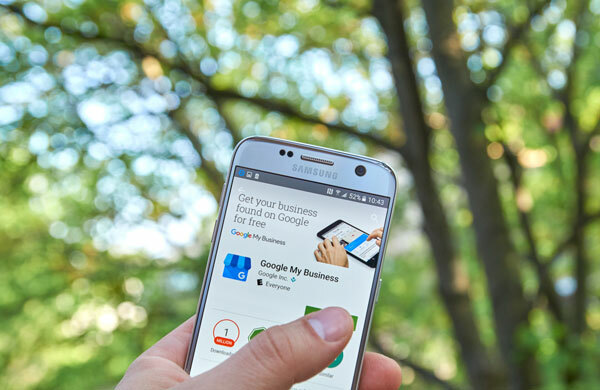 Because Google provides it, and Google is the most-used search engine in the world, you’ll want to claim your Google My Business profile as soon as you can. Not only can you upload photos, logos, business hours, map location, and a phone number, but you’ll also have access to reviews posted about your business through Google, and important data about your customers. Bing is the second most used search engine. And over the last few months, it has steadily gained in its share of the search engine market. Bing’s profile offers all the same options as Google’s, and more: social media links and your email address! Apple Maps’ service is much more restrictive than most others. The phone number listed on your profile must be the same as the one on your website (not tracking numbers); your website URL must be simple (no tracking codes), and sometimes you can’t publish updates about your business without contacting customer service. The reason you must claim your listing on Apple Maps is to update your location on Apple Maps. Apple Maps is the default map/GPS program on iPhones. We’ve found that at least half of the businesses we’ve claimed on Apple Maps are placed in the wrong location on Apple Maps. It’s because Apple doesn’t use information from Google to update their maps, but have their own list of data providers. For Yelp, simply search for your business. Then “claim” it. If you can’t find your business, create a new listing. You’ll be able to upload photos of your business (though you cannot sort them without paying a subscription), business hours, phone number, and services. We don’t think there is any reason to pay for a Yelp subscription, especially since you can gain control of Google, Bing, and Apple Maps listings for free. Yelp won’t offer much of an advantage. Yellow Pages offers the same options as Yelp. If you don’t find your business in their list, you can create a new listing. Local.com will allow you to upload all the information Bing allows, except photos and a map location. But it won’t take long, and their service is relatively intuitive to use. Hotfrog actually offers advanced analytics with your business listing. You’ll be able to add up to 50 keywords to track what customers are searching when they find you. You’ll also be able to add everything you can add on your Bing My Business account, from email address to business hours. Maybe there isn’t much benefit to Superpages if you already have a Yellow Pages citation. The main reason is how frustrating DexMedia’s customer service and website are. As you attempt to navigate its many hurdles, you’ll find that at least half the time the page you’ll need to load to update your business profile doesn’t, in fact, load. Other than that, you’ll get a profile very similar to the one you’ll have on YP. Because they use machine learning and web crawlers to push out data to services like Google, Factual won’t actually let you create a business profile to manage. But it will let you submit a free form to make corrections to your business listing if you update your business hours, phone number, or anything else. You can’t lose here, by submitting a form for your business, especially if you are building your online presence. You’ll find that Axcion is the most frustrating aggregator to work with. For whatever reason, your profile creation won’t work and you won’t be able to claim your business. Who knows if they’re working on their website known issues. But it’s worth a shot. Business chains have to pay to claim their listings on Infogroup, but it’s free for small businesses. You’ll have an easy time getting your business claimed and updated here. Both InfoGroup and Factual are essential services for growing businesses to utilize. Improving your local presence is as easy as building business citations. You’ll want to make sure to claim your business on the major search engines, and also submit your information to data aggregators. And don’t let other listings with incorrect information go. Claim all the free listings you can, and you’ll see an improvement in your search rankings.